Frida Kahlo had great taste. Kahlo, the blockbuster-worthy 20th century Mexican painter who has become an icon of tortured femininity and surrealist exploration, chose to decorate the home she shared with Diego Rivera with her personal collection of Mexican ex-votos. Here are some of them on the wall in Room 5 of her house-turned-museum in Mexico City, La Casa Azul. As you can see in the screenshot, ex-votos, sometimes also called retablos ex-voto, are small folk paintings, colorfully painted and hand-lettered. They are executed on tin sheets about the size of a license plate. Each ex-voto memorializes a miracle in which someone has successfully prayed for help in the face of an illness or accident The ex-voto is made afterwards, either by the petitioner or by a local artist on a commission basis, to thank the Virgin (or a saint) for her timely help. Ex-votos mean different things to different people. To their creator (or commissioner) they are a genuine expression of gratitude and reverence. To an art historian they are an interesting blend of two genres, folk art and religious art. To proud Mexicans like Frida Kahlo, they are an important cultural tradition. And to a linguist? More prosaically, they see ex-votos as a handy source of data on untutored Spanish. This puts them into the same category as graffiti and marginal notations in printed books: spontaneous examples of everyday language, as opposed to the language codified in textbooks, taught in schools, and written by the educated class. 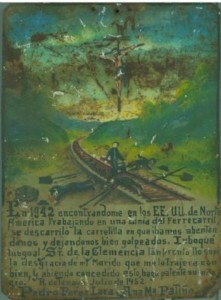 As an example, consider the ex-voto below, from the collection of the Smithsonian Museum. In terms of language, the Spanish in the ex-voto exemplifies most of the common mistakes that uneducated speakers make in their writing. To begin with, almost all the required accent marks are missing, with the exception of the two past-tense verbs descarriló and invoqué. 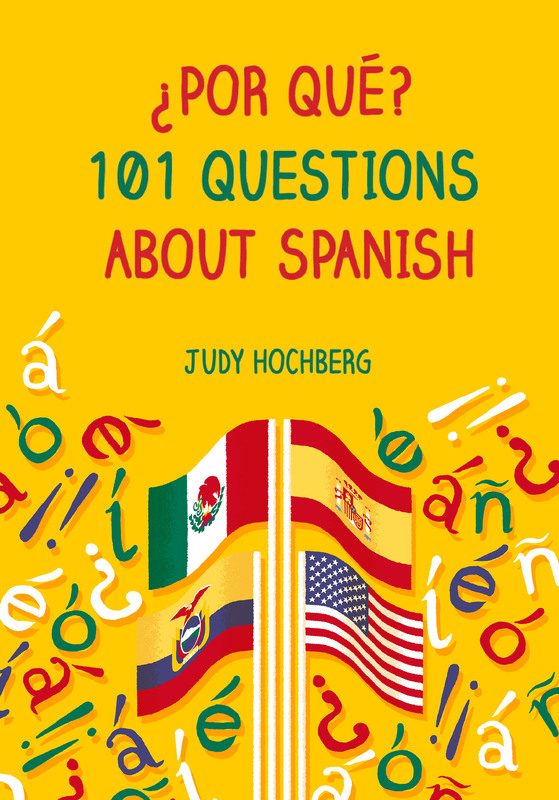 Readers who are learning Spanish as a second language might be relieved (in a schadenfreude kind of way) to see that accents can challenge native speakers, too! Other classic mistakes seen in the ex-voto are the confusion of b and v (in invoqué and aventándonos), which are pronounced identically in Spanish, and the omission of the silent h in habiendo — but not hago, probably because this word is more common. Second-language learners are now welcome to feel smug: b, v, and h errors are much more common for native speakers, who learn vocabulary first by ear only. Second-language learners, who are guided by spelling from the start, have the reverse problem: remembering to pronounce b and v the same, and to drop the h.
What I’d like to see, but haven’t yet found, is a serious linguistic analysis of ex-voto Spanish beyond spelling. Your pointers are welcome. 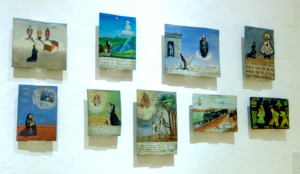 This entry was posted in The written language and tagged ex-voto, Frida Kahlo, La Casa Azul, Mexico, retablos ex-voto, Spanish on 22 April, 2013 by jhochberg. Fascinating information, thanks for sharing! Could the “llo supe” actually be “yo supe” instead of “lo supe,” particularly because the writer correctly used “lo” later in the writing?